Another large scale 3d printer, available from 2018. 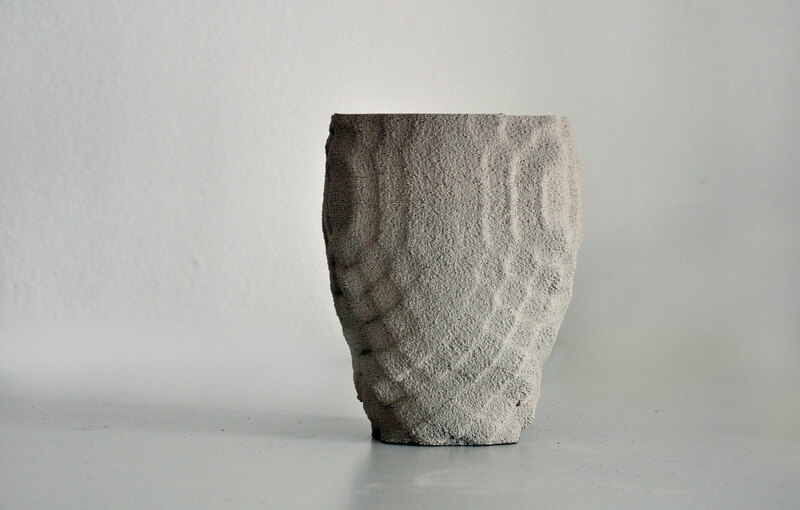 “StoneFlower” is a 3D printer developed by Anatoly Berezkin. It uses Liquid Deposition Modeling (LDM) technology. Simply speaking, it builds the objects from materials, which flow under pressure and do not after deposition. They now we experiment with soft clays for ceramics. LDM technique let to print material at much higher rate, as compared to desktop FDM printers, which use thermoplastics. One can easily control the process choosing the nozzle diameter in range from 1 to 6 mm. The layer thickness may vary from tiny 0.2 mm for precise printing up to 3 mm for maximal performance. “StoneFlower” is designed as a simple, accurate, fast and versatile instrument for artists, designers, architects, tutors, researchers and hobbyists. We are running a startup around it to make “StoneFlower” available on the market since year 2018. For those, who wish to try ceramic 3D printing at home, we designed an affordable full-functional “SF Clay Printing KIT” that can be installed in many desktop FDM printers. It includes the original print head of the “StoneFlower” and powerful pump for clay.